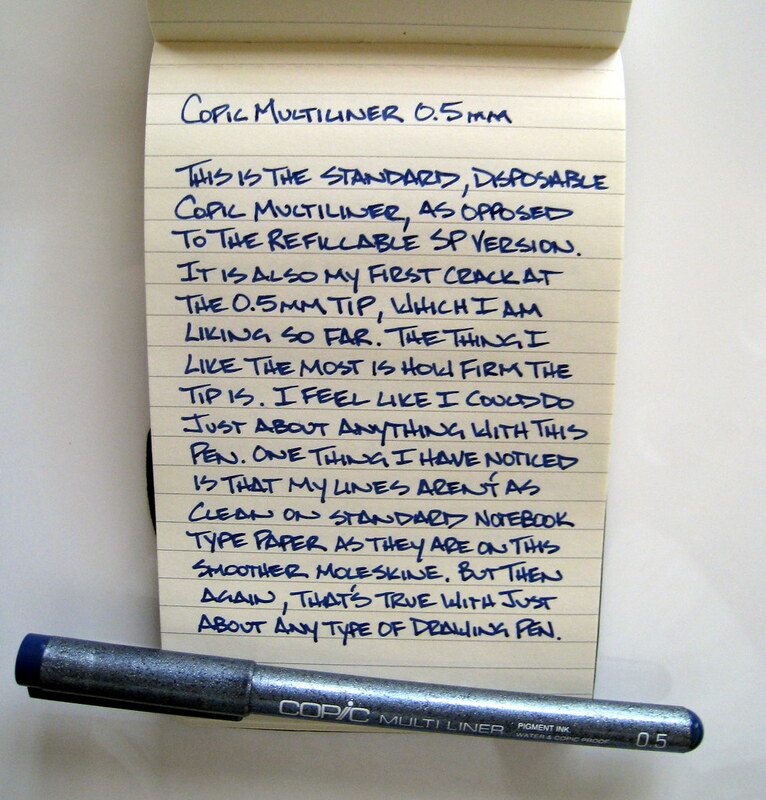 This blue Copic Multiliner 0.5mm was another of the samples received from my friend Marianne at I Like Markers. I am very impressed with how firm the tip is and how tight my lines are. This tip falls in the middle of the size range, but it writes as sharp and as clean as a smaller diameter tip. The blue is a very deep blue, which I personally enjoy. It is also very comfortable and lightweight, which is nice in a drawing pen. All in all, another great Copic! Posted on September 8, 2008 by Brad Dowdy.